Our rates are very competitive with claims adjusting standards. There are no add-on percentages. Please contact us to discuss our flexible rate schedules. We handle auto liability claims as well as Comp and Collision to full conclusion of the claim. Our experienced truck adjusters are available to investigate after the fact to tie down all the details. Standard vehicles, heavy equipment, motorcycles, recreational vehicles and specialty vehicles such as classic cars. investigation will enable you to make the correct decision. Standing ready to handle your residential and commercial property claims to full conclusion. We have extensive experience in handling Errors and Omissions claims. Suspicious about a claim? Too many omitted items, falsehoods and inconsistencies? Let us find the truth so you can act accordingly. 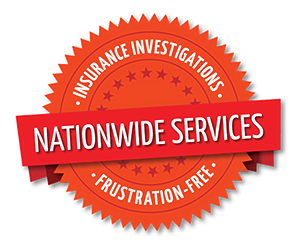 Our adjusters are licensed nationwide in all 50 states. Contact us to get thorough, complete reports that will allow you to accept or deny claims quickly. Churchill Claims Services has licensed and insured adjusters. References and licensing details are available upon request. Any type of assignment can be sent via email, fax or our online submission form.